Nancy Erley, captain of two world circumnavigations, founded Tethys Offshore due to the overwhelming interest of women sailors who heard about her circumnavigations of the earth with all-women crew. The two 5-year voyages from 1989 to 2001 were westabout from Seattle aboard her beloved Orca 38’ sailboat Tethys. Nancy teaches 2 to 3 women aboard Tethys in the San Juan Islands of NW Washington and up into the Gulf Islands of Canada on week long live-aboard cruises. The islands are absolutely beautiful and scenic anchorages are around almost every corner. Bald eagles, seals, orca and minke whales, sea lions and many diving and sea birds are among the wildlife sighted on most trips. The boat will anchor most nights and use the dinghy for shore excursions. For trips across the border into the Canadian Gulf Islands bring your passport. We do not have a set itinerary, but choose from many attractive anchorages based on the tides and weather. The meals aboard are of the highest quality with organic food locally sourced and selected by the crew to accommodate their individual preferences. The exceptional “nurturing outward bound-like” experience brings back many a shipmate for a return voyage. On Tethys teaching is individualized for each of the two or three learning crew. With a one- to-three student teacher ratio, learning happens spontaneously, continuously and in a practical, hands on way. 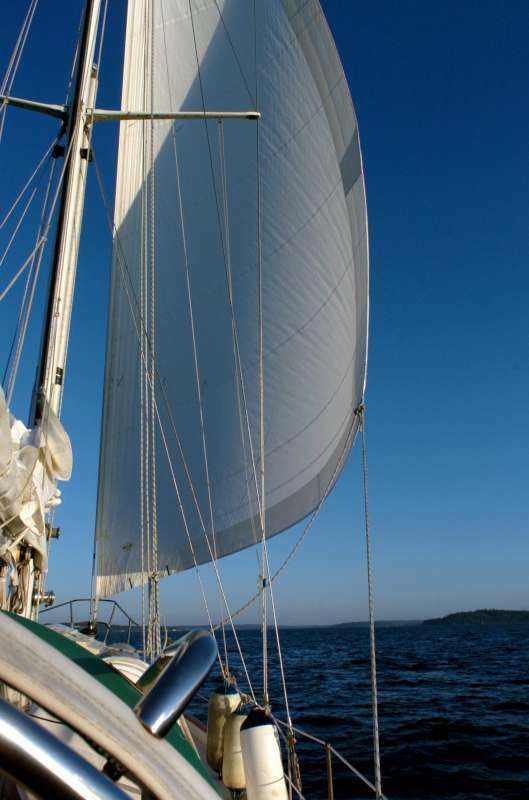 Stories and anecdotes from previous trips are used to illustrate details of sailing techniques as well as to familiarize learning crew with the international sailing community. No one likes to fail and on Tethys there is a ‘no failures’ learning atmosphere. No experience is necessary. Certification through the International Sail and Power Association (ISPA) is available on each voyage. Nancy holds her USCG 50-ton Master of Oceans and 100-ton Master Near Coastal licenses, is an Instructor Evaluator-Ocean for the International Sail and Power Association, a ham radio operator KI7DP, and an advanced scuba diver and delivery skipper. An acclaimed international presenter, Nancy is available as a technical and motivational speaker to yacht clubs, boat shows and business groups. 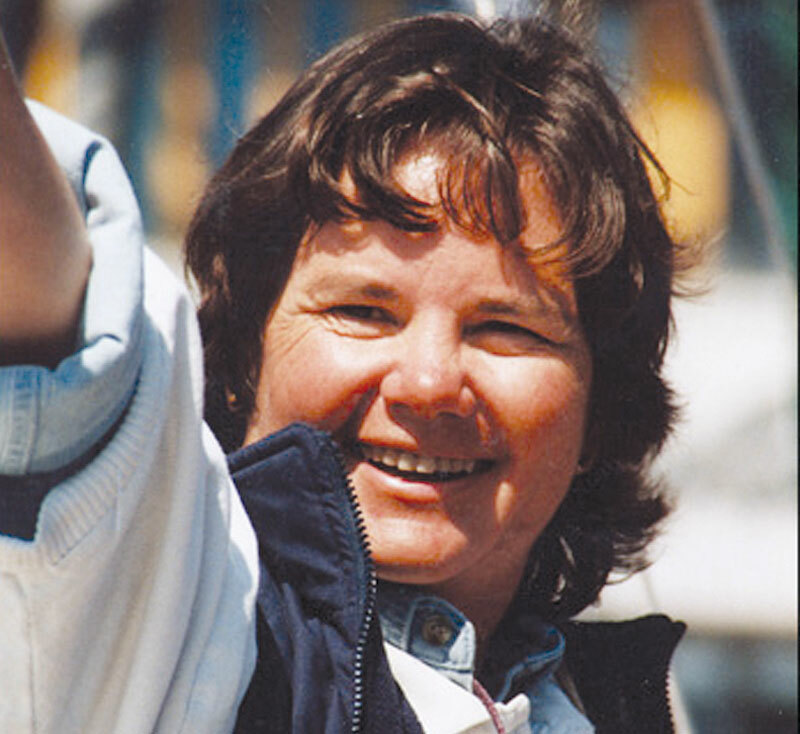 In 2006 Nancy was presented with the Leadership in Women’s Sailing Award sponsored by BoatUS and the National Women’s Sailing Association. The award honors a male or female who has built a record of achievement in inspiring, educating and enriching the lives of women through sailing. “The truth of it is that I just love boats,” admits Nancy Erley. And, if you stand within earshot of her sea stories, you will begin to believe you love boats. — Carla M. Dole. CTC MAIDEN VOYAGES magazine.